JazzCast Ep. 27: Wycliffe Gordon! The beautiful thing about podcasting is that there is no time limit. It gives the artist a platform to share their insights, views, and stories related to their music. This interview was especially inspirational to me because it reminded me of my time at MSU, and specifically the Martin Luther King Jr. concert we did each year. This interview, along with my experiences at MSU, inspired me to create the Jazz and Freedom Festival, which happened MLK weekend in January 2015. Although we recorded this in the summer of 2014, it’s timeless. Thank you Wycliffe Gordon for your inspiration and beautiful artistry! Welcome back to the JazzCast! Today we have an interview with jazz pianist Donal Fox! He will be performing this Friday, April 10th, 2015, at AMP by Strathmore, located at 11810 Grand Park Avenue North Bethesda, MD 20852. Show starts at 8 pm. With an encyclopedic ear and ravishing technique, Donal Fox draws on a vast repertoire in this solo piano concert that includes works by and based on J.S. Bach, Thelonious Monk, George Frideric Handel, John Coltrane, Frédéric Chopin, Radiohead, Robert Schumann, Ornette Coleman, John Dowland, Horace Silver and more. SG: Do you have any projects you’re working on, or any upcoming concerts or releases? DF: Touring with my Inventions Trio this year with the great Cuban drummer, percussionist Dafnis Prieto in the drum chair. Lot’s of solo piano concerts and special duet concerts with cellist Maya Beiser and the Fox Wolf Duo with Warren Wolf on vibraphone. SG: Any good books you recommend? SG: What apps do you use? Welcome back to the JazzCast, Episode 24, where we finish up an interview with Reginald Cyntje! I’m happy to state that Reginald’s album, “Elements of Life” was just named one of the top five albums for 2014 by CapitalBop blog. Go Reggie! (And every album on that list is excellent, please check them out!) In this episode we get deep into the meaning behind the music as well as more philosophical matters. You can also check out more of Reginald’s music by going to the previous episode as well. Most of all please support Reginald by purchasing his album on CDBaby, iTunes, Amazon, or from his website. He is running a 20% sale so check it out! Also please check out his new book, Stepping Stones, 15 studies in improvisation! I believe that Reginald wrote a bunch of new music since this episode (which was recorded in August) so please keep an eye out for what he puts together in 2015, I know it will be great. I hope you enjoy this in depth interview! JazzCast Ep. 21: JS Williams! What I liked most about this interview was the fact that I would have never known the meaning behind the songs “Grim Reaper,” “Ambivalence,” and “Submission” without sitting down and talking about it. It gives a whole new meaning to his music, and as always, JS tells it like it is! I was also really impressed at his tribute to his various teachers – his father, grandmother, his middle school teacher, and Josh Landris – who taught him one lesson but made an everlasting impact. In honor of all the parents making this the “true” teacher appreciation week I hope you enjoy this interview as much as I did. Please support JS Williams by downloading the songs if you like them! July 18, 2014 – Jazz Update at the Westminster Church in Washington, D.C. for Friday night Jazz. 6 – 9 pm, $5 cover, 400 I Street SW DC. Tickets are sold at the door. July 22, 2014 – MARS 4-tet featuring Jimmy Haslip on bass will be playing at Bethesda Blues and Jazz Club. 7:30 pm, $22, 7719 Wisconsin Avenue, Bethesda, MD 20814. Click here to get tickets. 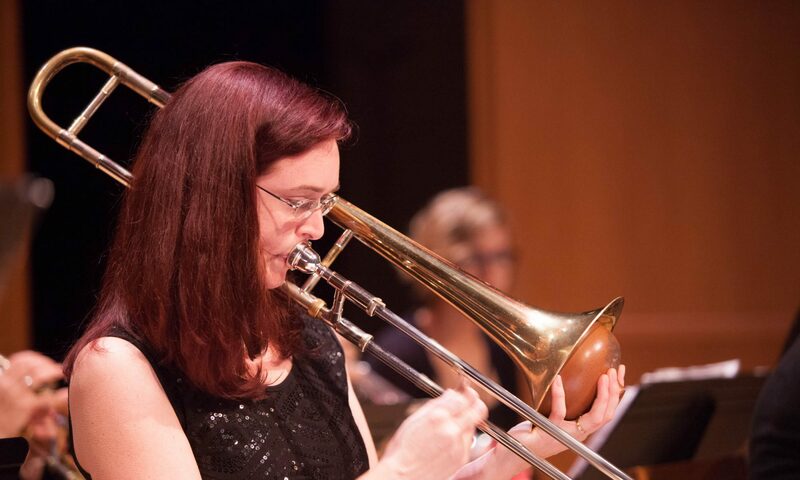 July 22 – 25, 2014 – Maryland Summer Jazz Workshop – this is a four day workshop for older adults and features multiple master classes as well as a end concert for all the faculty. The end concert (featuring students and faculty) is on July 25 from 7 – 10 pm at Saint Mark Presbyterian Church at 10701 Old Georgetown Road, North Bethesda, Maryland 20852. Tickets are $20. Phil Woods – sax etc. JazzCast Ep. 14: Aaron Quinn, guitar! The websites for Liver Quiver are here: http://liverquiver.bandcamp.com, http://liverquiverband.wordpress.com. Aaron Quinn’s website is at http://theatrociousspeller.wordpress.com. This is a podcast is an interview with Marty Nau, DC based alto saxophonist. Marty can be found playing all over the metropolitan DC area, including at Twins Jazz Club, with the Bohemian Caverns Jazz Orchestra, with the Metropolitan Jazz Orchestra out of GMU, and with the Smithsonian Masterworks Jazz Orchestra. This interview was really fun for me because none of his music is available online; you have to purchase a physical CD (which you can only get from him, or perhaps on Amazon). He’s old fashioned in that way and proud of it. He has self produced several albums; this podcast will feature songs from his project with strings and his clarinet project arranged by Scott Silbert. If you’d like to know more about his mentor and favorite jazz musician, you can read his interview with NEA Jazz Master Phil Woods by clicking here. If you like his playing, you can hear him this weekend at Twins Jazz Club at 14th and U St. in Washington, DC! May 9th and 10th at 8 and 10 pm sets, $16 tickets with $10 minimum with Steve Williams. Thanks for listening! Please subscribe and review on iTunes if you get a chance. Welcome to Episode 8 of the JazzCast, the podcast dedicated to curated listening sessions with jazz musicians! Today’s episode is part one of an interview with Timothy Whalen, DC based jazz pianist, composer, and arranger. He is playing with his four horn septet this weekend at Twins Jazz on U Street in DC, so come on out and listen if you enjoy this music! March 28 – 29, 8 and 10 pm sets, http://twinsjazz.com. ***UPDATED! I added new songs by Billy Wolfe and leveled out the volumes a bit. *** Finally got this up! A little late, unfortunately. But the music is good, so here it is. I hope you enjoy this second episode of the JazzCast which includes an interview with saxophonist Billy Wolfe. Billy plays saxophone(s) in the Bohemian Caverns Jazz Orchestra as well as teaches private lessons and puts concerts together for his band, “Billy Wolfe and the Composer’s TetraDectet.” He pulls people from all over the midwest, east coast, and west coast to play new music by himself and guitarist Aaron Quinn. I was really happy to hear his bootleg recording; I had never heard any of his band’s music before. We listened to a recording of a piece by Aaron Quinn titled “The Thing About Tomorrow…” as well as a piece by Billy titled “Amethyst.” At the end we had a mini-curated-listening-session with a piece called Understandable by Fields and Planes, an indie rock band from Columbus. It’s always fun to hear new music and I hope you enjoy this episode! Thanks for stopping by!